1. Cruise with your dog. No boat? No problem. 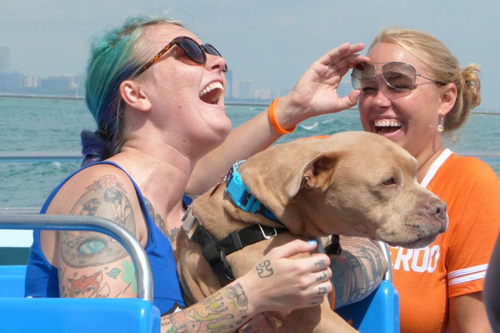 Mercury’s Canine Cruise invites pups (and their humans) for 90-minute weekend river and lake cruises. Feel the wind in your hair (and fur) while taking in the sights and learning about Chicago’s buildings and history. Dogs can comfortably sit on laps, seats or the deck. Water bowls and newspaper-lined “doggie restroom” aboard. Discount parking and prime location on Riverwalk makes it easy to extend your fun beyond the cruise. 2. Go to a baseball game with your dog. 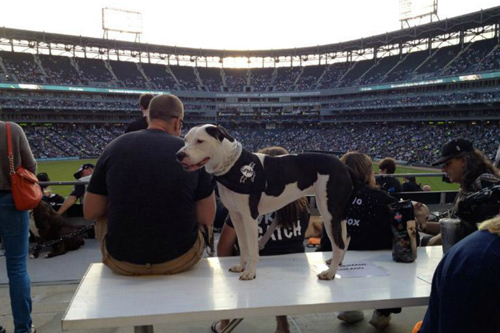 The Chicago White Sox host two Dog Days a year, usually in May in September. Enjoy the ballpark’s drool-inducing “dog” (a brat smothering in sauteed green peppers and onions - believe us, your nose will lead you right to it) or a classic Chicago dog while enjoying America’s favorite pastime with your best bud. 3. Frolic on the beach with your dog. Chicago has 28 miles of lakefront shoreline along freshwater Lake Michigan. Along that shoreline you will find 24 beaches. One of which is Montrose Beach. There you will find Chicago’s first legal off-leash beach which was also named the Best Dog-Friendly Beach in the U.S. by USA Today. And perhaps some of the happiest pooches around, frolicking in the waters of Lake Michigan. A must for water-loving dogs and their people. 4. Shop with your dog. 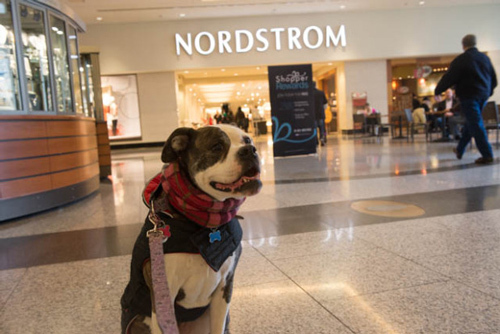 You don’t need a purse-sized dog to shop at The Shops at North Bridge, Nordstrom, Bloomingdale’s or the Apple Store along The Magnificent Mile. All dogs welcome! 5. Attend a black tie event with your dog. Go glam for a puptastic cause and bring the ultimate date - your dog! 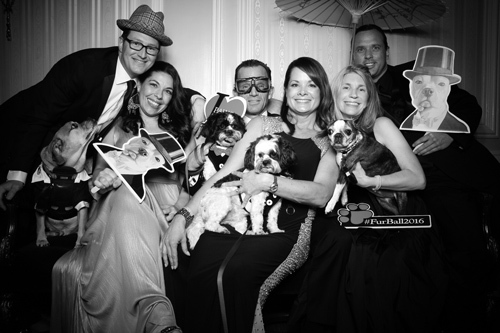 PAWS Chicago’s annual Fur Ball raises funds to support the shelter’s mission to building a no kill Chicago, providing spay/neuter services for under-resourced communities and showcasing the organization’s lifesaving success to be a model for communities to replicate around the world. 6. Hit up a summer dog fest. 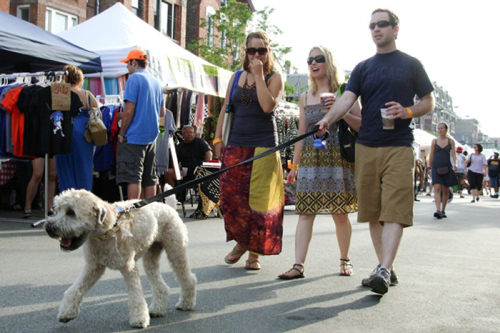 Some Chicago festivals allow dogs (typically neighborhood fests); some don’t (think Blues Fest, Taste of Chicago, etc). This particular fest has an area dedicated to your VIP - very important pet! West Fest’s Pet Fest in West Town features a charity dog wash, dog obstacle course, paw painting, pet retail booths, tie-dye dog bandana making and more. All proceeds benefit Alive Rescue and One Tail at a Time. 7. Hike a (city) trail with your dog. 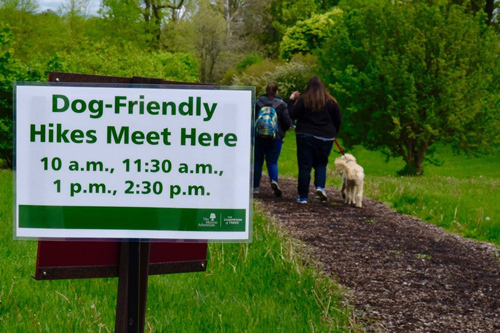 Enjoy a "paw"fect day out with your pup, meandering down Morton Arboretum's 16 miles of hiking trails during Tails on the Trails. Dogs are allowed on the trails only a few times a year, so this is special indeed! There is also an onsite pet expo, special demonstrations and adoptable dogs! Sign your pooch up for some doggy games, including the crowd-favorite peanut butter licking contest! For a city dog-friendly “trail”, check out The 606, an abandoned rail line turned into an elevated 2.7 mile park on the northwest side. 8. Dine on the Riverwalk with your dog. 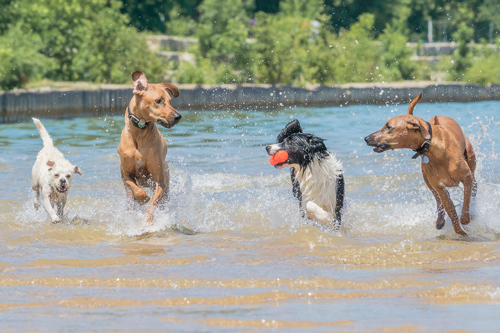 Chicago’s dog-friendly Riverwalk is one of the hottest new outdoor spaces to be in Chicago. And the perfect destination for a bite to eat outdoors! 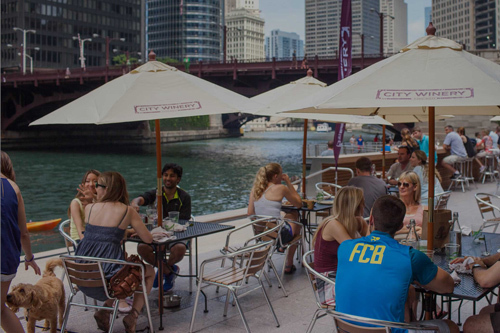 Check out Riverwalk places to nosh or sip including City Winery, Tiny Lounge, O’Brien’s Riverwalk Cafe, Island Party Hut and more. 9. 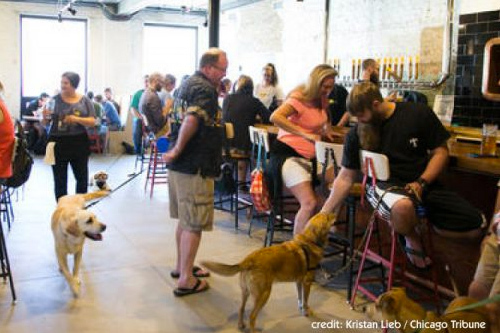 Visit a brewery with your dog. Dovetail Brewery is a local brewery in the North Center neighborhood merging continent European styles and techniques with American creativity to produce the kind of beers found in small, family-run breweries in Europe. Dogs are allowed in the taproom at Dovetail and the staff leave out bowls of water for their doggy customers. The taproom is BYOF (bring your own food). Coming soon: natural, homemade dog treats made from the leftover spent grains of the beer brewing process. 10. Run a 5K with your dog. 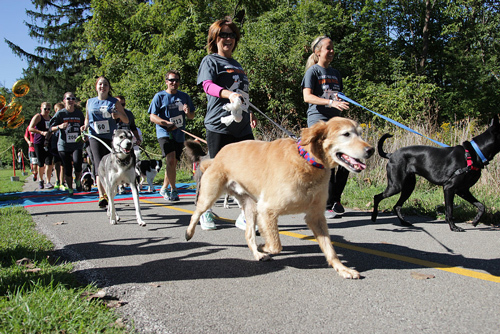 Other annual events include Dash for the Dogs (Animal House Shelter), Jogs for Dogs (Alive Rescue) and Bark in the Park (The Anti-Cruelty Society).